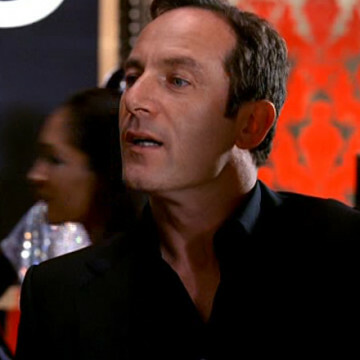 Jason Isaacs plays the part of Fredrick Lyme in S05E07, Gotta Look Up to Get Down. Jason’s character is tasked with overseeing a marketing campaign for Dolce & Gabbana and hires Vincent Chase as the campaign’s male model. After the female model originally hired to join Vince is fired, Vince assumes it is because Fredrick is jealous of her attraction to Vince. When Vince meets with Fredrick to discuss the decision later in the episode, he learns that his assumption is only half right.